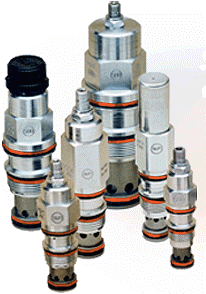 Sun Hydraulics is a leading designer and manufacturer of high performance screw-in hydraulic cartridge valves and manifolds which control force, speed and motion as integral components in fluid power systems. Products are available in up to five sizes, are capable of handling flows up to 400 gpm and can operate at pressures of up to 5,000 psi. Sun was founded in 1970 and is headquartered in Sarasota, Florida with facilities in Europe and Asia.